We've modified our ship to have some drilling equipment. We haven't tested it, so let's hope it works! 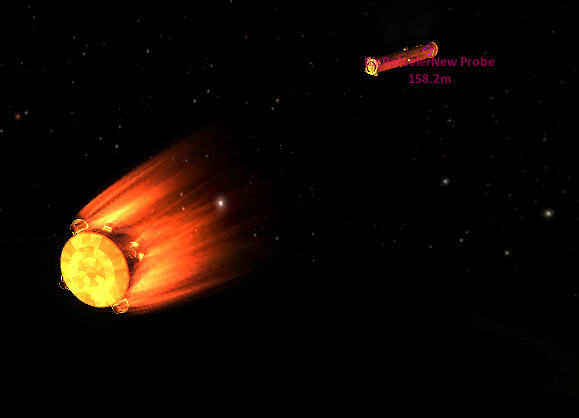 Wenxy and Rabies here are flying it to orbit today. Uh oh, that didn't end well. This attempt didn't either. Drilling equipment is heavy, apparently. 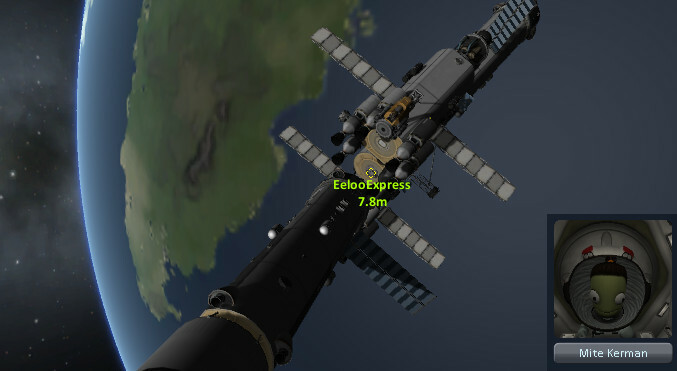 Guess we need to cut back on the fuel load a bit. Hooray! After many struggles they finally made it to orbit. 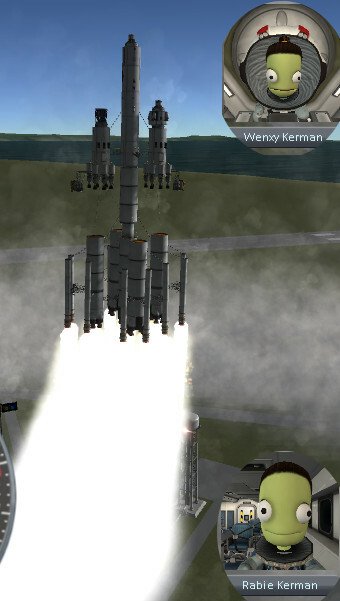 Of course now we have to refuel, and refuel a lot because we had to launch with mostly empty tanks. 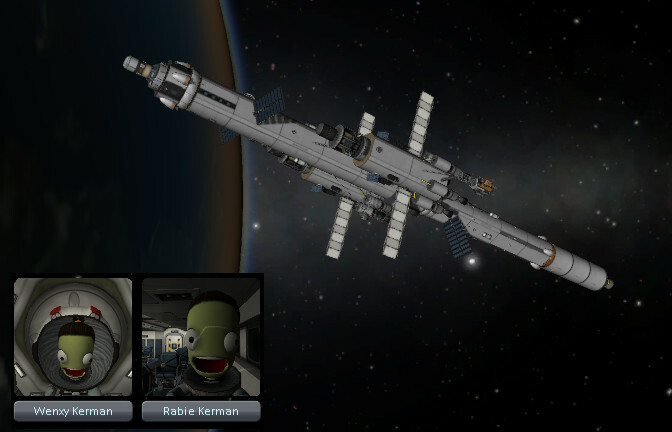 First, let's launch *another* ship, mostly the same as last. 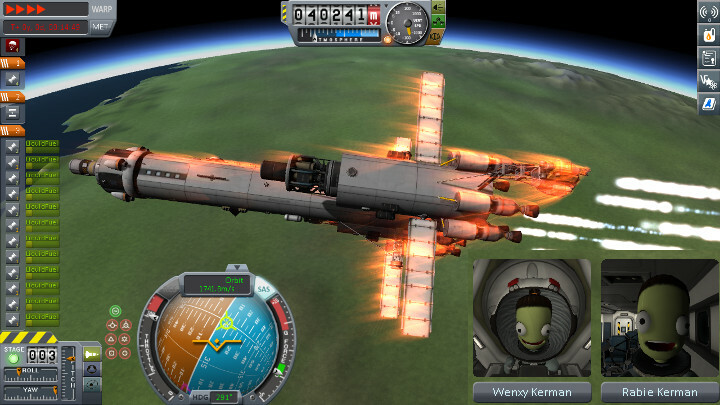 Phil-zor and Hangar do a slightly better job of piloting this one. 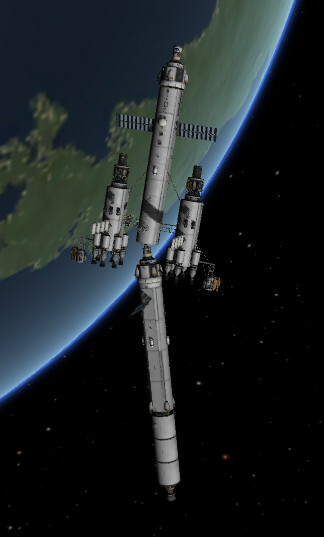 We sent an unmanned fuel ship up and eventually docked. Let's try to land the robot. Oops, forgot the probe core was on the booster, so we were coming in for a nice landing but weren't able to deploy the chutes! Maybe pilots aren't overrated. Let's recruit one... but wait, the astronaut complex is completely devoid of pilots. That makes things a bit difficult. Well, let's make do with an engineer. 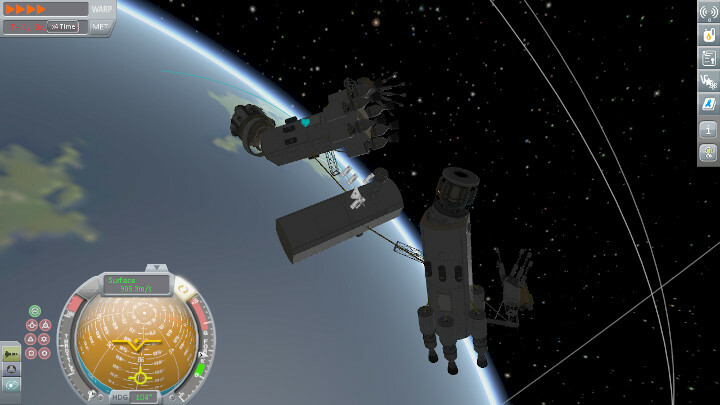 Mitte, your job is to fly this refueling mission and not touch anything on the way up. Oh no, will she survive the landing? The answer is yes. And now she's a level 1 engineer. Excellent. We quickly sent her back up. 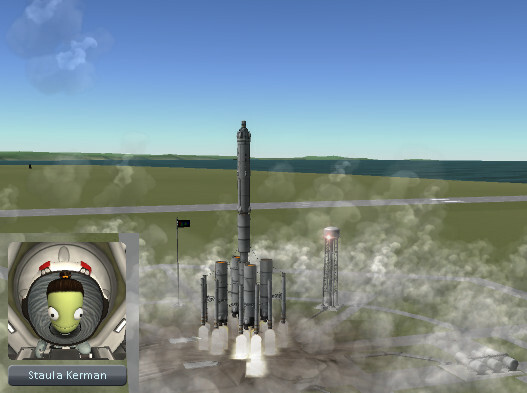 Perfect launch conditions, you can see we managed to dock within one orbit (that's KSC down below). We'll leave Mitte with this crew for now, they need an engineer, right? After the ship departed we realized *no* it was the *other* ship that needed one. Argh! I wonder if this ever happens to NASA. Anyway we recruited a new engineer, Staula, to finish the refueling of our ships. A little crooked, but I guess as long as the fuel flows. Everyone is refueled! Awesome! Still some time before the windows open, so let's see what contracts we've accumulated. Collect Component D06Z-Q? We have some extra fuel, we can do that. We're going to need a pilot though, sorry Wenxy I think we're going to recall you. You didn't really want to go on a deep space mission anyway. 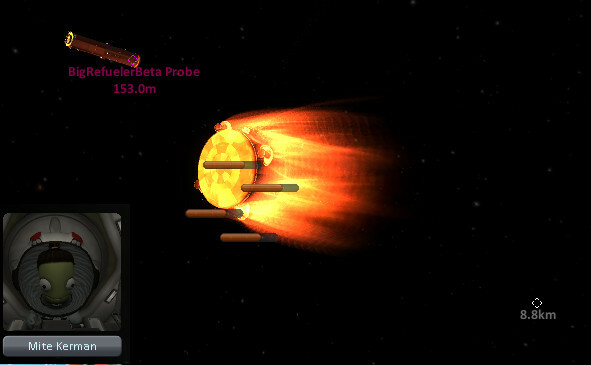 And believe it or not we (eventually) managed to grab the object and land safely with it! It was an empty solid rocket booster. 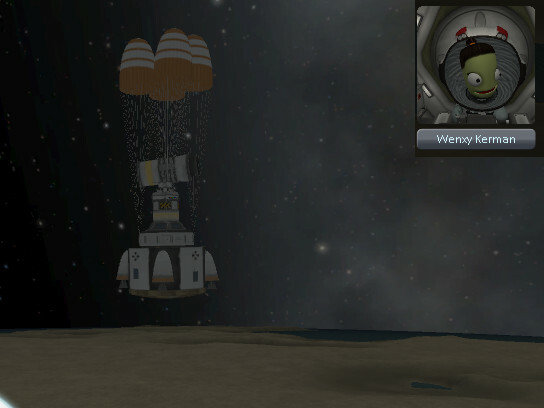 A good thing it was empty as I forgot to adjust the staging, so things could have gotten interesting when I activated the parachutes. Contract complete! Surprisingly lucrative too. OK, next one, return some science from Eve. We have some boots on the ground, let's get this done. Hey Desktop, long time no see. Yes, sure, rescue mission is in the works, just need some funding. Anyway, got any science for us? Great! Wait, what do you mean "no antenna". 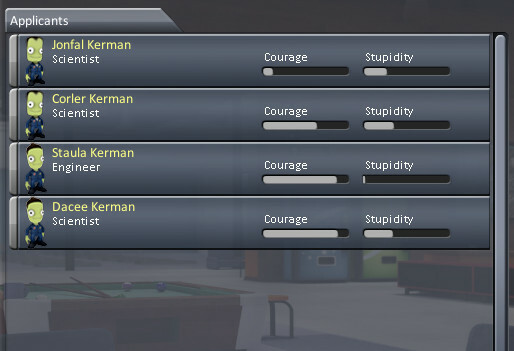 Well, you aren't the only Kerbal on Eve. Hey Macie, what about you? What, no antenna either? Ugh, we should check things before taking these contracts. Well maybe some of these others might work. 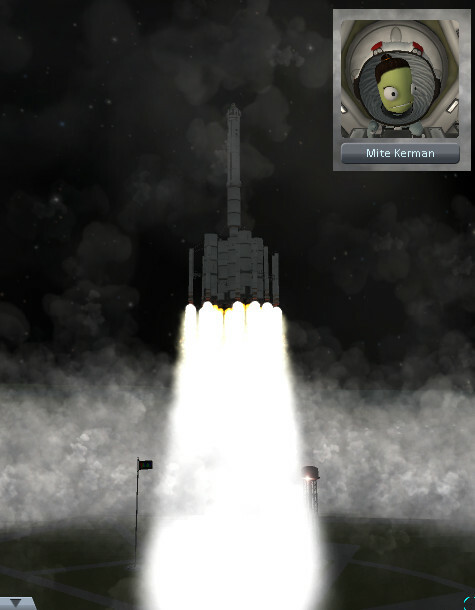 Off to Minmus! 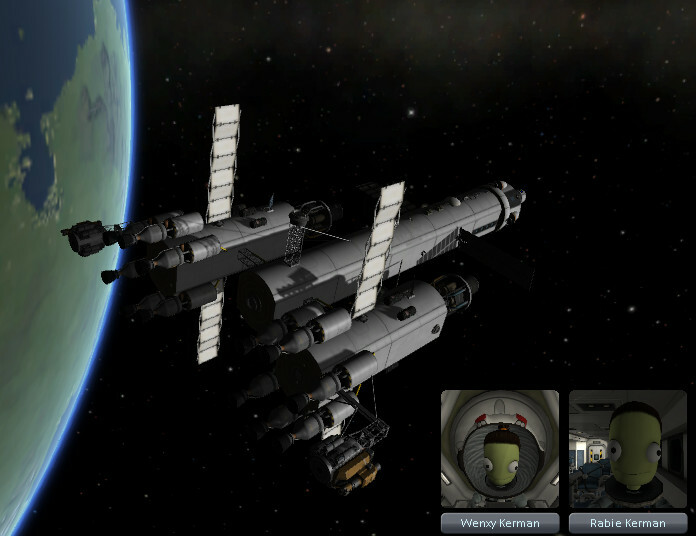 Hello there Minmus Base. I had been avoiding visiting you because I was afraid your landing legs would explode. So far so good though. We have a contract for science. Got any? Wow, 500 science. It's been a while I suppose. Go on and send it! Really really slowly it seems. One more thing, apparently we have a report of some sort of anomaly just to the northeast. Gregwell, will you check it out for us? No, this doesn't sound like the plot to a horror movie, why do you ask? Hmmm you're right, I don't see anything anomalous. Wait, they want you to try *another* location. Sorry Gregwell, your anomaly is in another castle. I think the science team is pulling some sort of prank here, this is the 4th location and we are totally out of RCS and Gregwell is far from home. Foolish us to trust mission control. 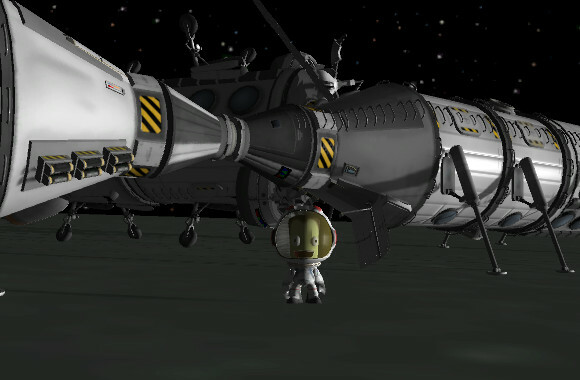 Do we need to send a rover to Minmus to rescue Gregwell? Will the creepy anomaly get him once the sun sets? I guess we'll have to wait and see.